During this time of year, there are so many beauty releases launching that it can be overwhelming to see what products are worth buying. 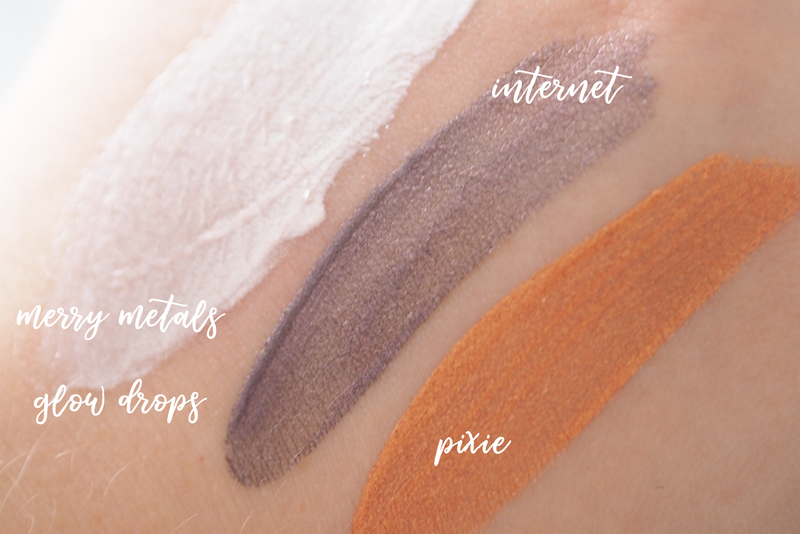 It could be for Christmas presents or to glam up your festive party look, but in stores and online you can't see swatches of the products themselves. 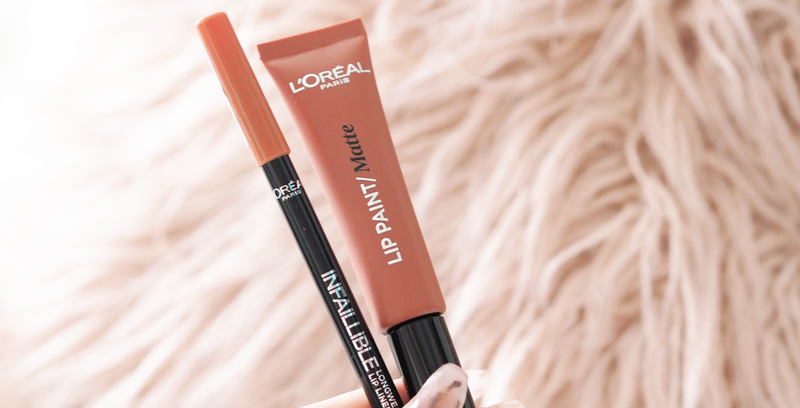 To make it easier for us, L'Oréal Paris has sent over some of their new products for me to try out and swatch for you, and for me to see what's the most worth it. 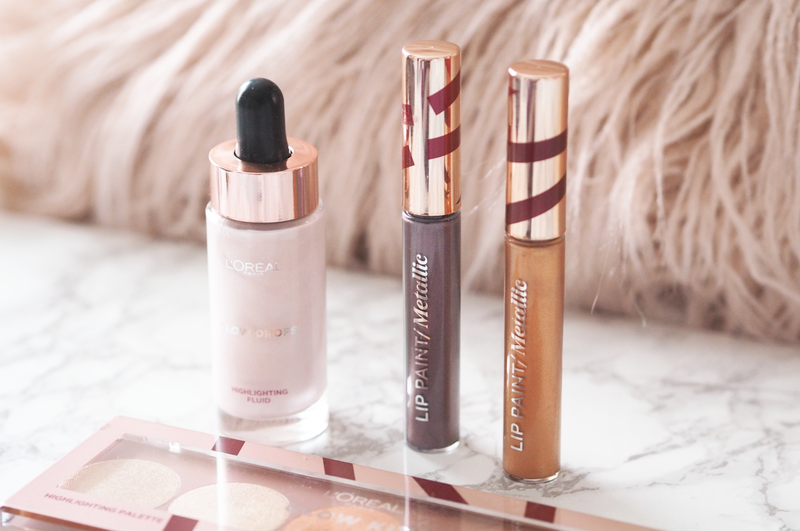 Right in time for Christmas, there is the Merry Metals collection which is full of shimmery products with luxury-looking packaging. The Merry Metals Glow Drops (£9.99) is a highly pigmented illuminator that is buildable for a bold shimmer and daylong glow. You can use the tiniest amount of a subtle shimmer or pack it on for an intense glow which makes it a very versatile product. The concentrated glow drops can be mixed with a primer or foundation for an all-over glow or added on top of lipstick and it's just beautiful. This is definitely a firm favourite of mine. 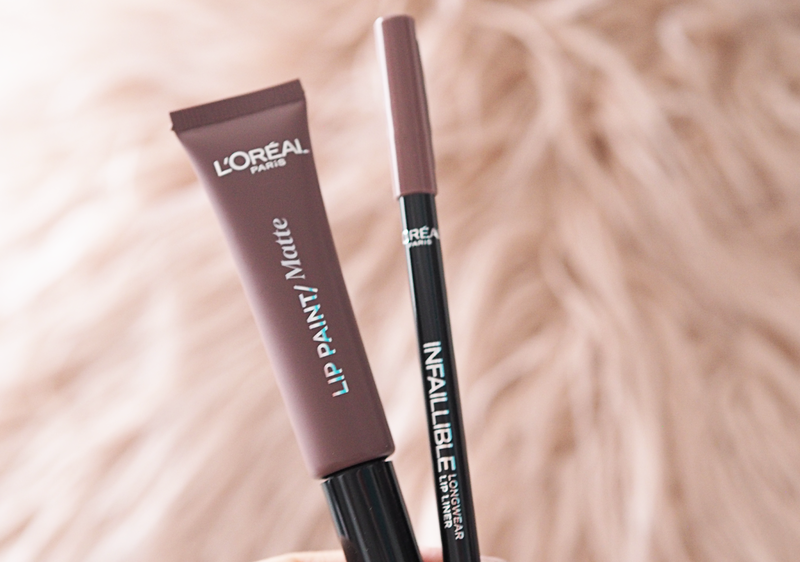 There are three Infallible Metallic Lip Paints (£6.99) with similar packaging, and I have the shades Internet and Pixie. I'm not really sure about the name 'Internet' as it seems a bit random but it's a gorgeous shade nonetheless. The name 'Cute Psych' is another name I'm definitely not sure of but since I've not received this one I'm just going to leave that there. The lip paints have a shimmering metallic finish and they're not completely opaque but again this means you could apply them on top of another lip product. They're a long-wearing formula with high shine and shimmer so you can celebrate the festive season with a glossy pout. I'm not head over heels with the shade 'Pixie' as I'm fair with blonde hair but if you're daring enough to pull it off, I can imagine it would look amazing. My photos just don't do this palette justice. It's the Merry Metals Highlighting Palette (£12.99) with 5 high-shimmer shades inside, from icy tones through to golden shimmers. 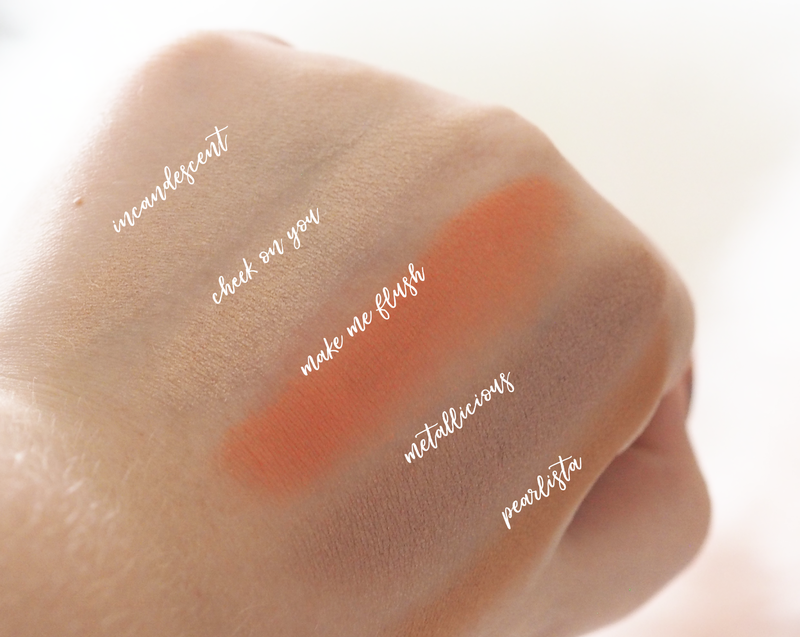 I was originally a bit wary of the shade 'Make Me Flush' as it seems quite peachy but I'd use this and 'Pearlista' as blush shades instead. Make sure to head over to my Instagram to see the video I've uploaded of the swatches with flash on as they are far more shimmery with a light shone on them. 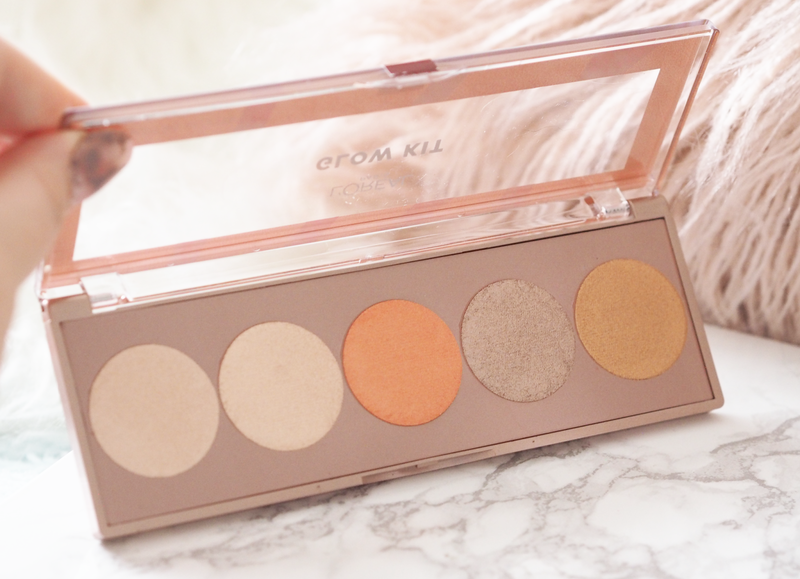 I'm in love with the shade 'Metallicious' as it's basically a rose gold and I've been using it as an eyeshadow which you could do with the rest of the shades in this palette. I have to admit, these are my first lip kits. Ever. 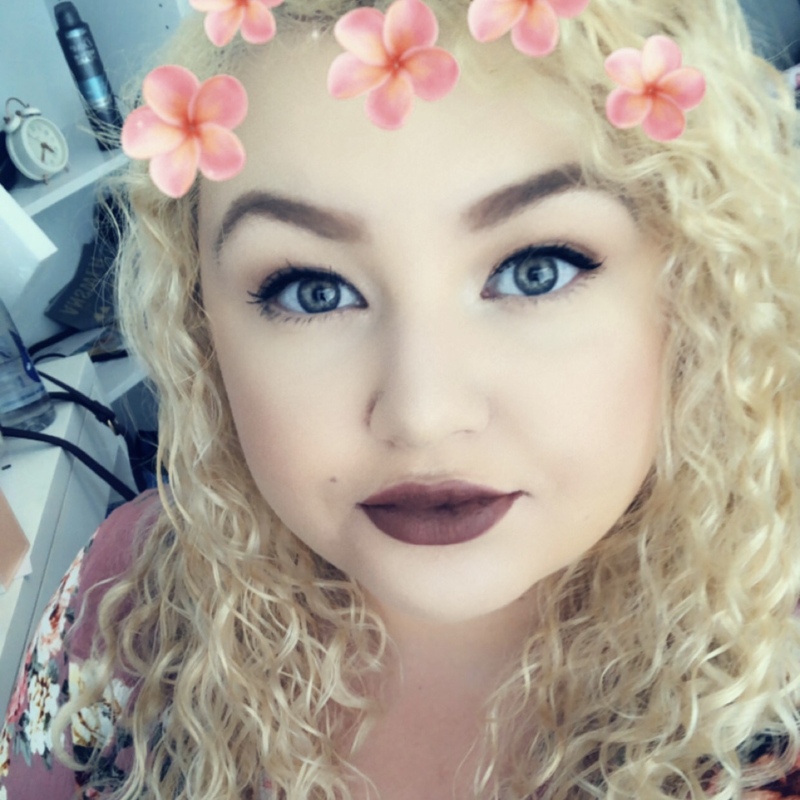 I was never taken by the Kylie trend, nor the subsequent products that followed suit, but I can see why some were obsessed with them. 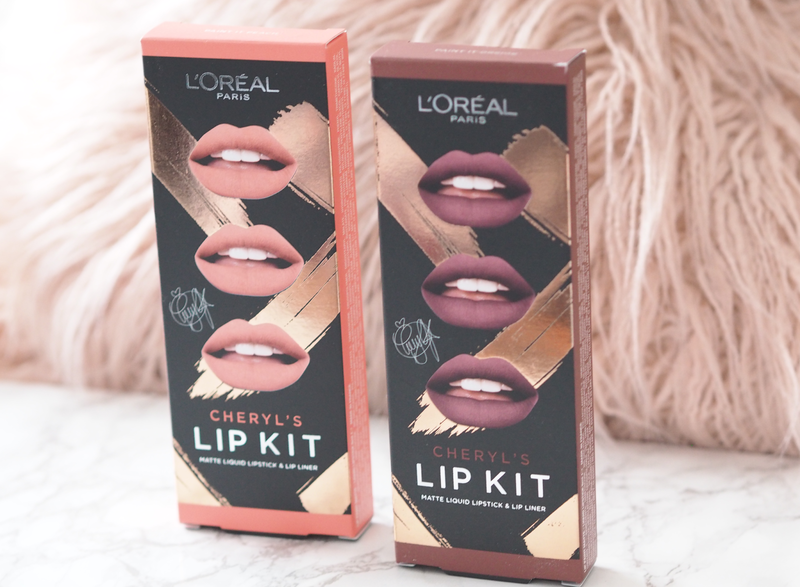 Cheryl has collaborated with L'Oréal to bring out her own lip kits that include a lip liner with matching lip paint, and I have the shades 'Paint It Peach' and 'Paint It Greige' and there is a Burgandy shade too(£9.99). The Lip Kits are a match made in heaven to create a flawless pout that's matte, with a lasting time of up to 8 hours. 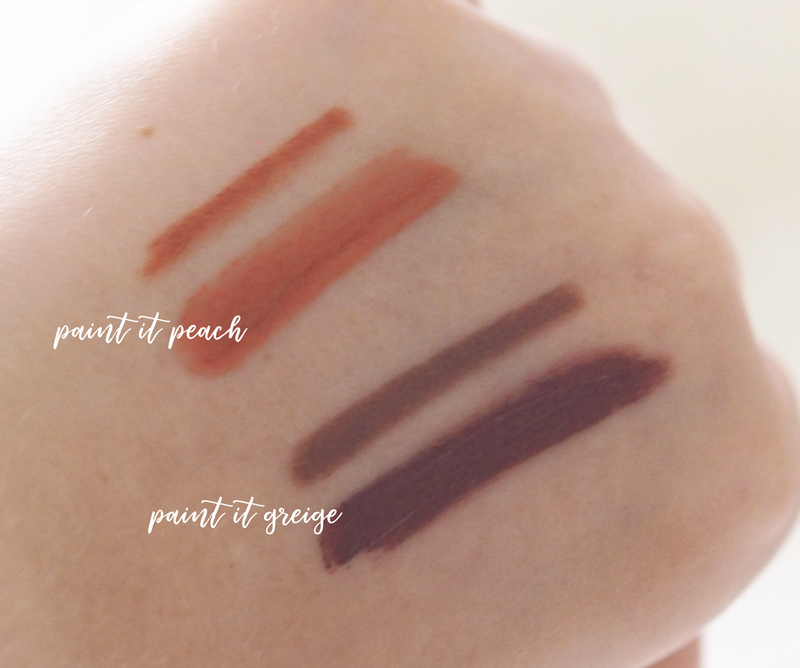 You outline your entire lip with the lip liner then apply the lip paint all over and it's just such a pretty look and would compliment every skintone. I know that Halloween is over, but the Autumn/Winter season is not. 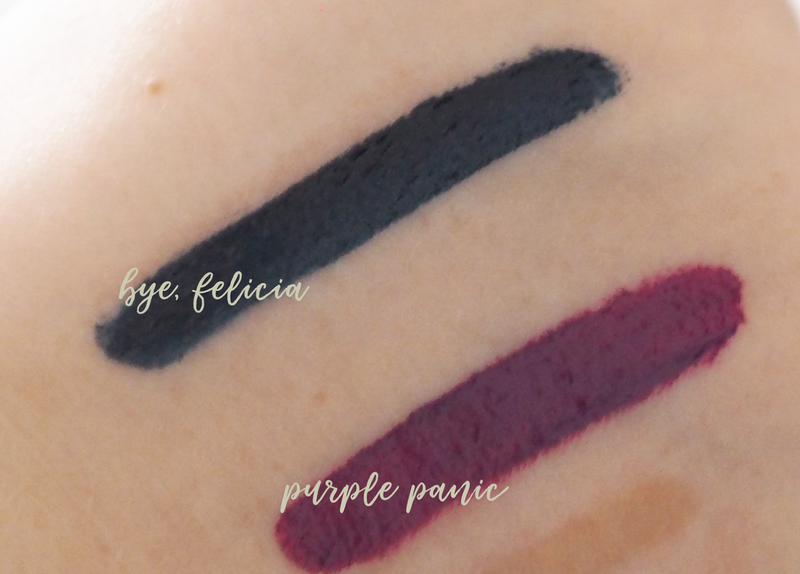 These are the Infallible Vampies Lip Paints (£6.99) in the shades 'Bye Felicia' and 'Purple Panic'. 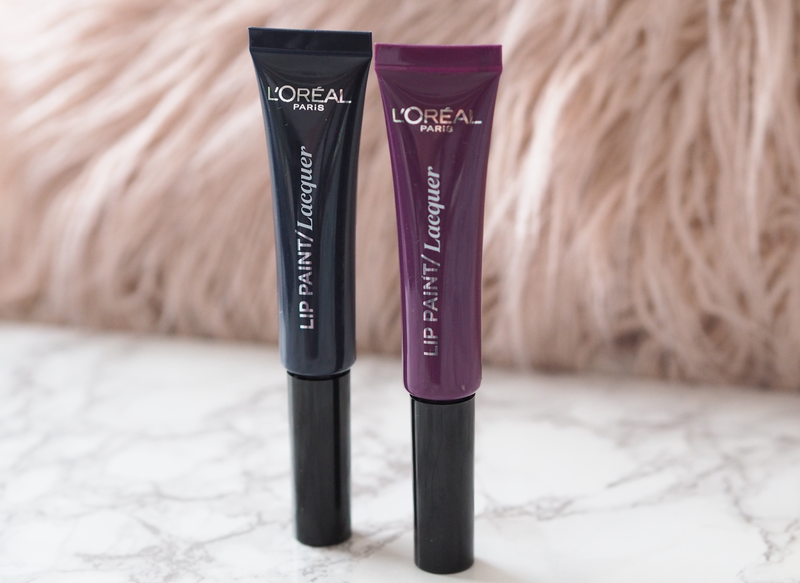 Unlike other lip products I've tried out before, these have a lacquer finish so they're opaque and high-shine, with shades suitable for your inner vamp. There's even a black shade in the collection so fear not, you can wear whatever shade you like right now with ease. I love that they've brought out more unique colours but since they're not incredibly wearable for me, I've not had too much wear out of them yet. Unique to Superdrug, we now have brushes! These are the Infallible Makeup Brushes (£5.99-9.99) which are made for applying foundation and concealer, stippling, contouring and applying blushes and powders. I don't tend to use brushes for exactly what they're meant for, and I am a bit sad that the contouring brush is dual-ended as I stand my brushes up in a pot (when I say a pot I mean three...) and this means one side has to get squashed, but nevermind. I love that these brushes are affordable with soft bristles and I would definitely check out the concealer and blusher brushes if you come across them. The products I'm most excited about have to be the Glow Drops and the Highlighting Palette from the Merry Metals Collection. You can't go wrong with a bit of shimmer and you can use them in so many ways that they're so worth picking up. 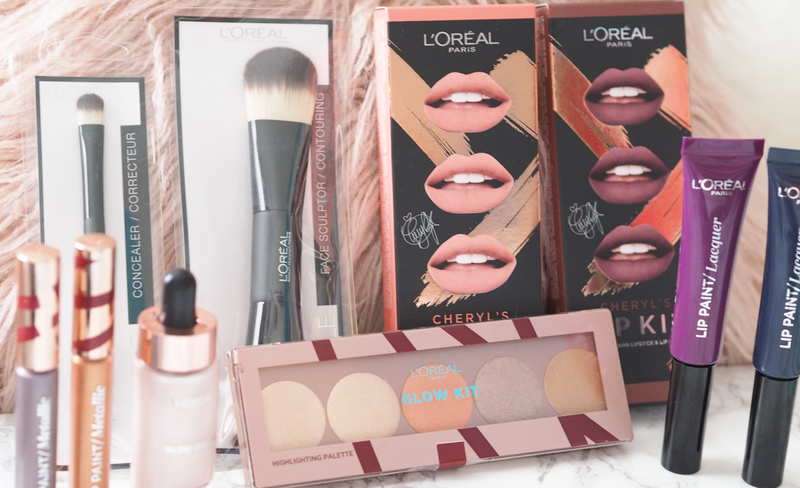 Boots quite often have 3 for 2 on too so grab yourself a bargain if you can!